The outstanding craftsmanship of Amish furniture applies to every aspect of construction, not just to the front facing portion that is visible to the world. Nowhere is that more evident than when examining the slats used to support a mattress on any of our beds. 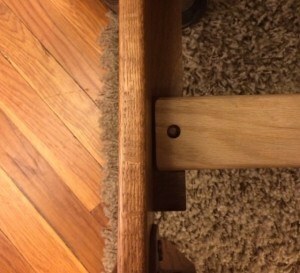 Commercially built beds will often have pressed wood slats that simply sit on the bed rail ledge; with nothing to prevent motion and lacking the strength of solid wood, slats can move and bunch—leaving gaps that allow mattresses to droop, or in extreme cases, fall to the ground. Uneven bed slats will create a lack of uniform support and can leave you more likely to experience back pain and can keep you from getting a good night’s rest. 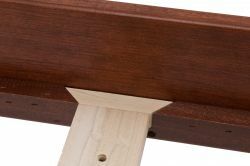 Our Amish artisans craft beds with dovetailed or dowel connected bed slats, ensuring that no movement can alter the support frame of the bed. Mattress weight is equally distributed across four, solid wood slats that are locked into position on the bed rail. 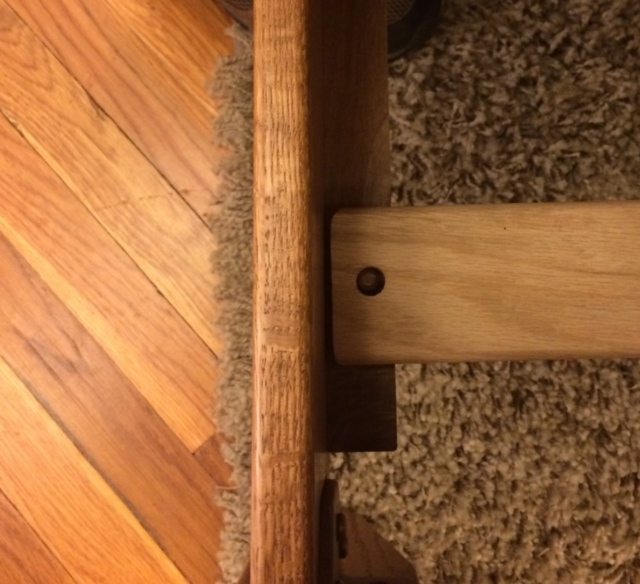 Additionally, adjustable vertical feet securely support two center slats. The beauty of our furniture is unquestionable, but a true sign of quality can be found when examining the construction that will prove it as sturdy and safe in 30 years as it is today.